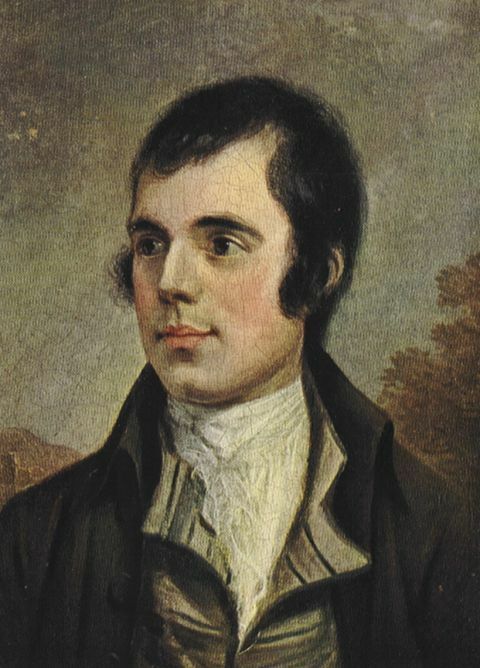 Well, it’s Robert Burns day. Time to eat some haggis, drink some Scotch, and honor Scotland’s national poet properly. Unfortunately, I don’t actually have any haggis (surprised? ), but I do have some Scotch. So, without further ado. Let’s get involved in reviewing some of the good stuff. My friend William, over at A Dram Good Time sent me a sample of this one, and I liked it so much that I did a few tastings at my local watering hole so I could review it online and spread the whisky gospel. Today, I am reviewing Talisker 10 yr. It is a wonderful, (relatively) young whisky from the only distillery on the Isle of Skye off the Northwest coast of Scotland. Talisker has had an interesting history in that it is not close at all to any other distillery in Scotland. However, it has had a rich history of mergers and separations with other distilleries from all over Scotland. To this point, Talisker has proven a resilient distillery. In the fall of 1960, the whole stillhouse burned down, but it was rebuilt exactly as it had been in the old days. Ironically, the distillery might have been bought out and shut down if it had not burned down. So, the essence of the story is that fate is on the side of good single malts. Today, we still have the opportunity to enjoy this wonderful whisky. 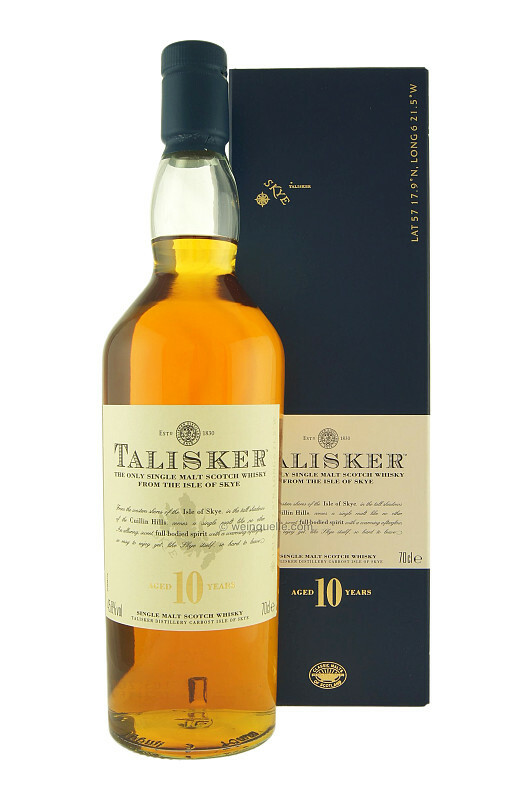 The Talisker 10 yr. is bottled at 91.6 proof (45.8 abv). On the nose, Talisker 10 yr. presents a wet, earthy peat. However, it is complimented nicely by some fruity notes that resemble apricots or peaches. The nose is decidedly less smoky than Ardbeg or Laphroaig, but the peat is still there. On the palate, Talisker is full-bodied and complex. It opens with some citrus notes, but it moves quickly to spicy pepper (cayenne, cracked peppercorns? ), peat, tree bark, and wet leaves. The finish is long and spicy at full strength. However, one of my favorite points to Talisker 10 yr. is how well it adjusts to different proof points. Seriously, if you want to have some fun, pour a big glass of Talisker. Take a few sips of it neat, and then add some water. Let it sit for 10 minutes, and return to have a few more sips. Then, add some more water. After another 10 minutes, the whisky will still be unfolding. Water brings out sweeter notes on the palate, like sauteed apples and cooked peaches. It also brings the finish to an oakier spiciness, as opposed to the peppery heat that is unleashed at full strength. Talisker is truly a journey of a whisky. Overall, this is a very good whisky. My complaints are that it is still chill-filtered, and it has caramel coloring added to it. Outside of that, this is a great whisky. My grade: A-/B+. Price: $50-60/750ml. This one is a little pricey for such a young whisky, but the flavors in the bottle pack in the complexity of a whisky much older. Even at the price point, this one is still very good value.